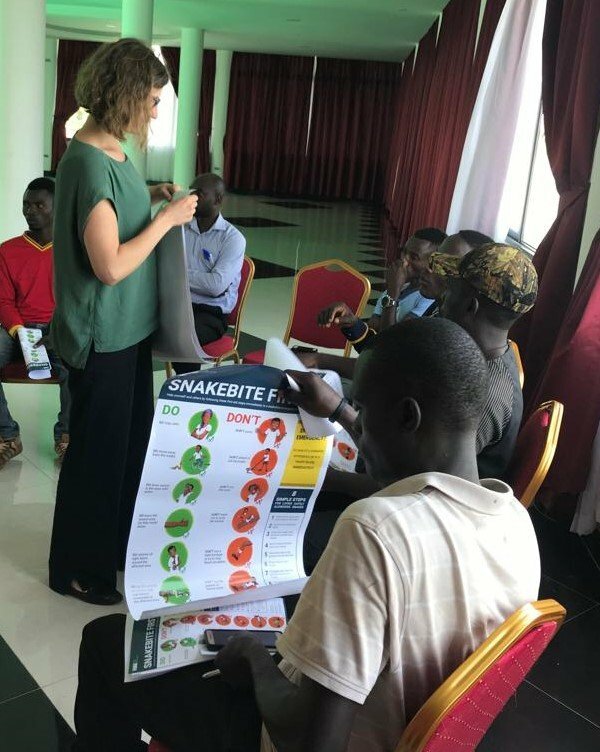 Every year, over 138,000 people die from snakebites globally, with at least four times as many left disabled and often in life-long debt. At Health Action International, we're fighting to stop this needless crisis, as the only life-saving treatment, antivenom, has already existed for decades. 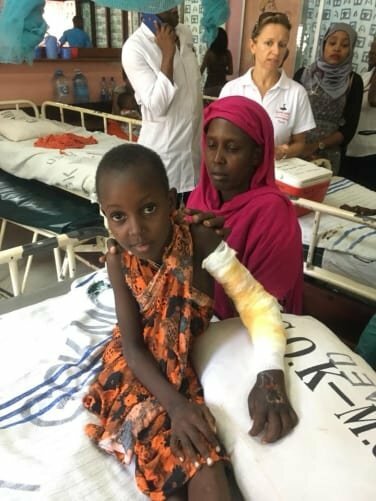 This project will allow us to educate communities and rural healthcare workers throughout Kenya on crucial prevention and treatment of this widely neglected and misunderstood medical emergency. 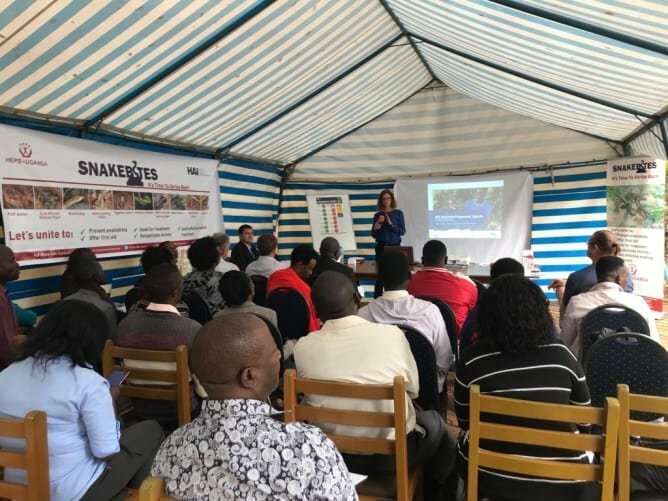 Over 138,000 people die from snakebites world-wide every year, with 4x as many disabled and left in crippling debt, unable to support their families. 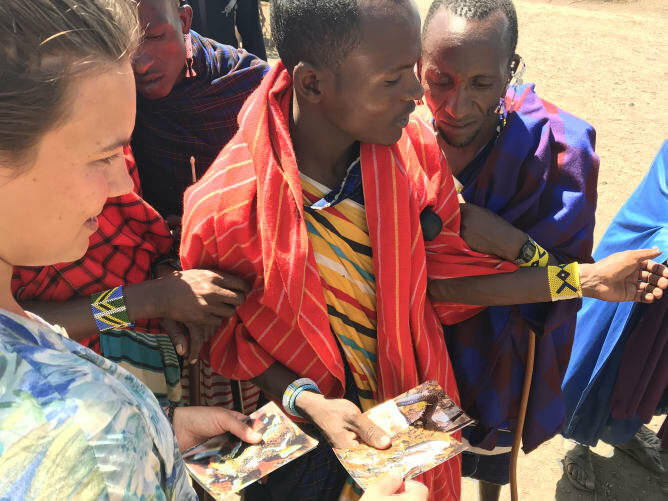 With a lack of knowledge and accessibility, over 2/3rds of victims seek care from unsubstantiated traditional healers who use practices that can do more harm than good. Under-reporting is believed to be over 70% due to lack of mandated recording in hospitals, and because most don't make it to health facilities to be counted at all. Many at risk have never been taught how to respond safely and quickly to a snakebite. This project will allow us to increase our vital on-the-ground education for healthcare workers and community members. 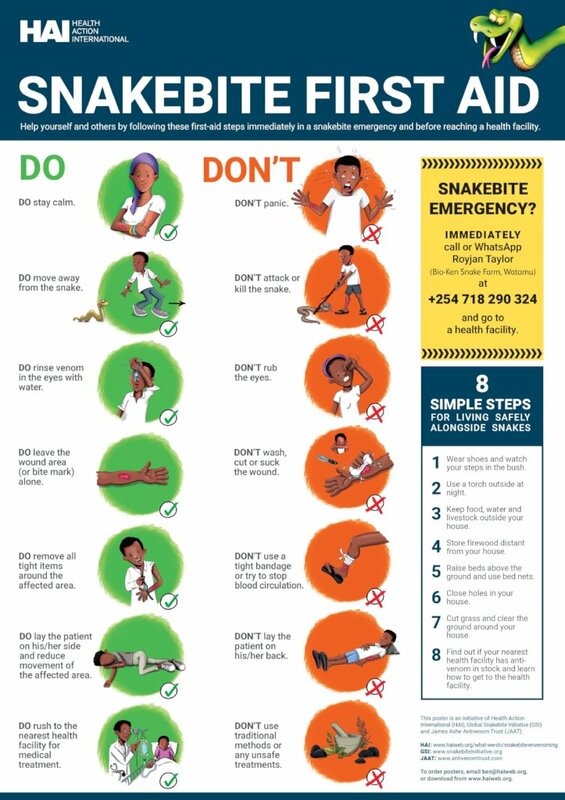 With various accounts of its life-saving abilities thus far, we will build upon our 1st aid poster by developing a primary care medical treatment flowchart and an illustrative bite prevention poster, allowing us to show people how to reduce the occurrence of a life-threatening snake emergency. 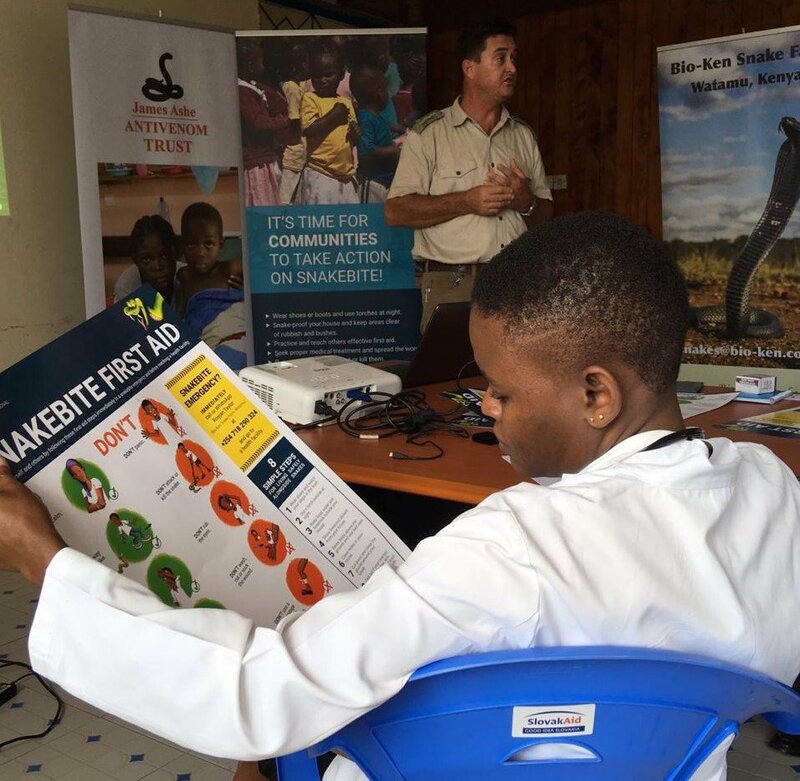 We started in Kilifi County, Kenya where we gathered data on snakebite prevalence, using it to develop recommendations and lobby the government. We have since developed crucial educational tools and taught numerous communities. Now, far fewer are seeking traditional healers over medical treatment. The local government has begun funding effective treatments, and talk is spreading to the national level. Our aim is to expand this model to every affected community across all of Kenya, and beyond.